Anne-Marie Beretta founded her label in 1974 and so is part of the 'creator' generation. After designing stage costumes for Castillo she embarked on a brilliant career with fashion houses including Pierre d’Alby and Mac Douglas, and Oleg Cassini in New York. 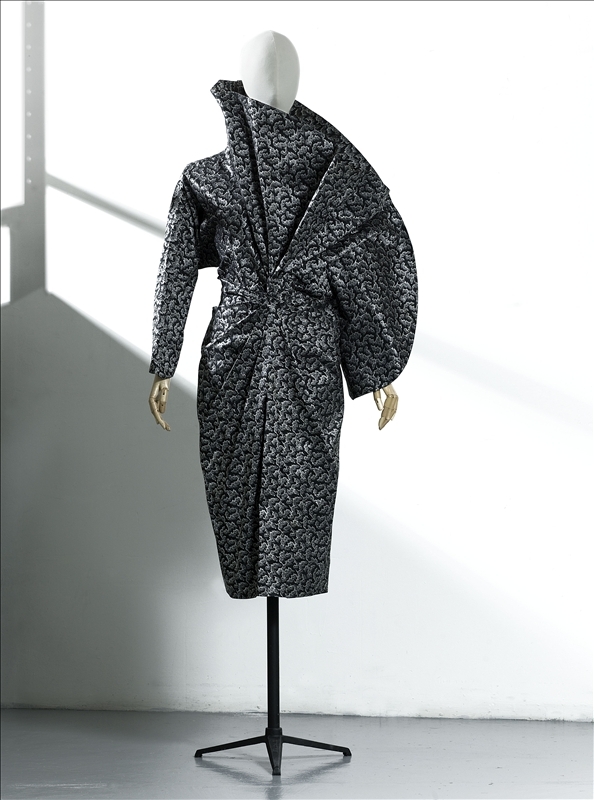 Fame came with rainwear lines for Ramosport, starting in 1968, and roomy luxury coats for Max Mara. Often described as an architect or sculptor of clothes, Beretta combines accomplished cutting with high-quality materials. Beginning in the late 1970s, her love of fabrics led her to experiment with the latest textiles innovations. A sworn enemy of the trivial and of pointless ornamentation, she stresses a pared-down approach and forceful lines. Her most iconically architectural pieces are based on outsize shoulders that conjure up the 'female executives' of the 1980s. 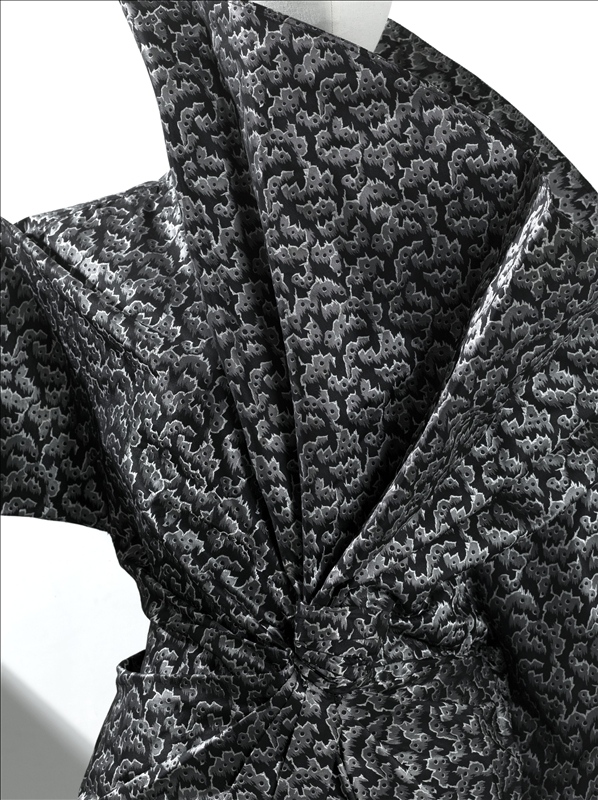 The dress on show here has all the power of its creator's sketches: folded and shaped artificial silk with grey and white patterns on a black ground. Wrapped around the wearer's body, the fabric is vigorously pulled in at the waist, from which it radiates outwards. This is a meticulously modern reinterpretation of the fashion of the 1930s and of the teachings of Madeleine Vionnet and Marcelle Alix. Highly dramatic – it might have been made for a diva or a Hollywood star – this evening gown reminds us of Anne-Marie Beretta's beginnings as a theatrical costume designer.